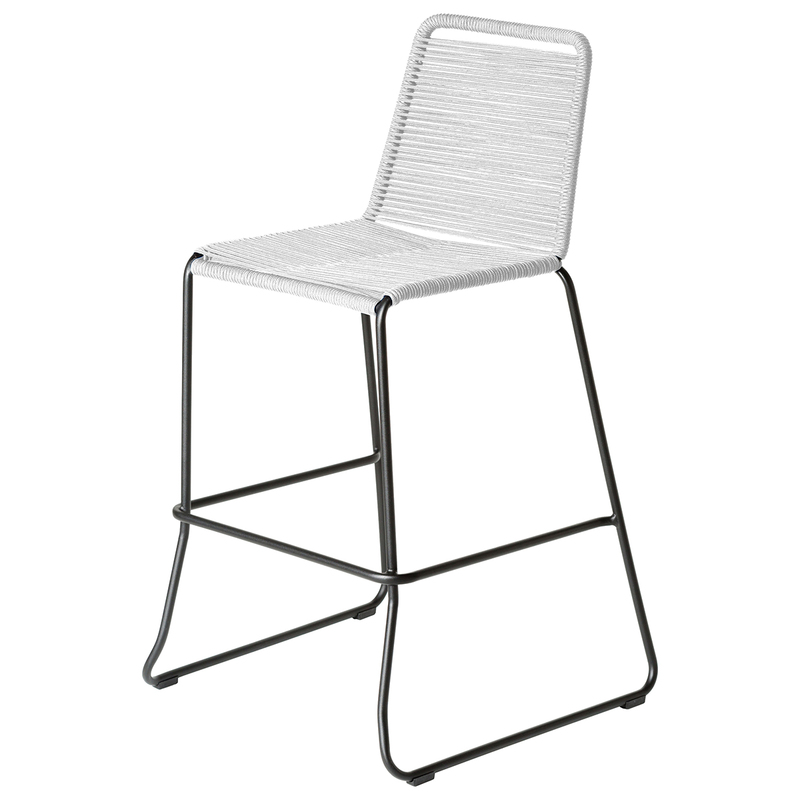 Looking to add a distinct bar chair that complements your kitchen's modern décor? Check out the Barclay Bar Chair from Modloft – you'll be happy you did! This chair is available in multiple dazzling colors and boasts soft UV coated nylon cords that enhance its quality. Plus, the chair features three side footrests as well as a stunning black powder-coated steel frame that delivers exceptional value. Pick up a chair that is built to last and will serve you well for years – the Barclay Bar Chair. 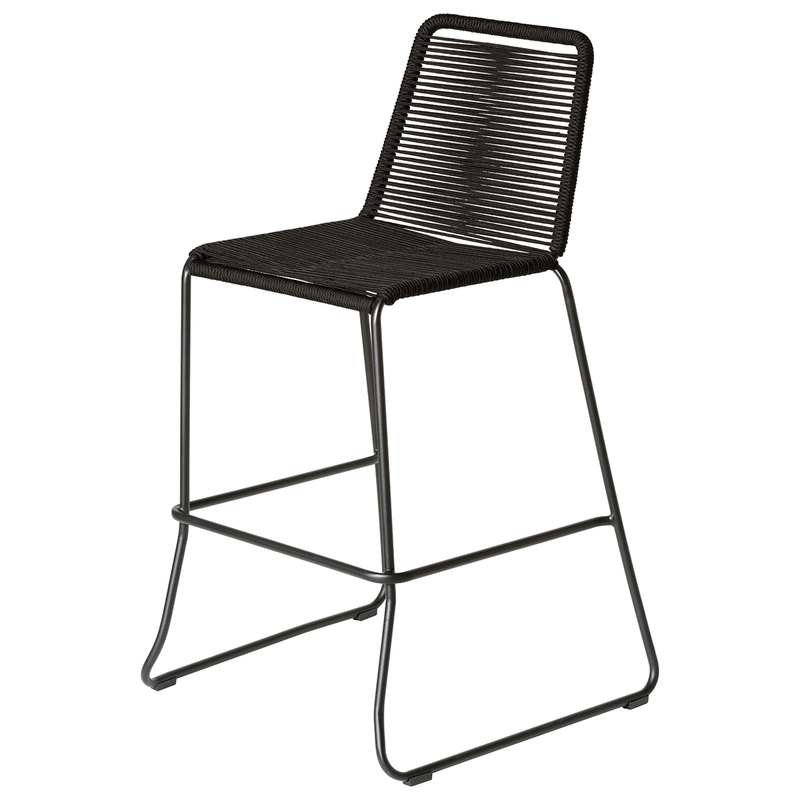 Lightweight design makes the chair a great choice in a modern kitchen or dining area. Includes three side footrests, making it easy for guests to sit comfortably for hours. 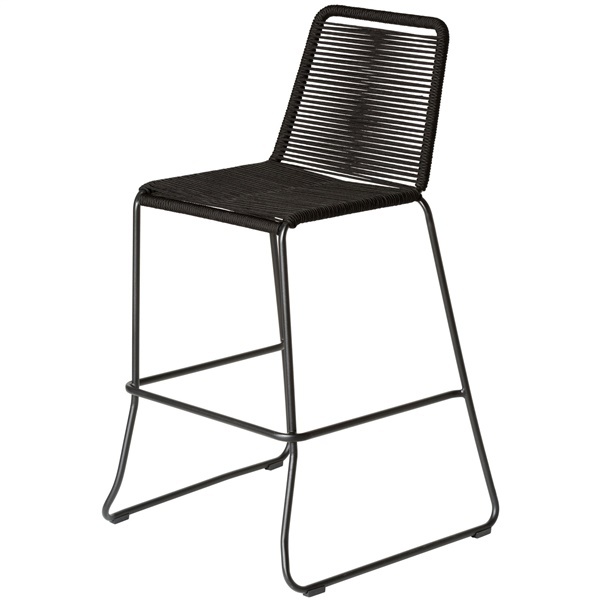 Boasts a black powder-coated steel frame that provides superb quality. Features soft UV coated nylon cords that are hand dyed resulting in subtle tonal variations. Can this chair be used outdoors? The Barclay Bar Chair can be used outdoors.